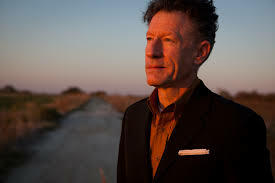 The other night Christy and I went to Ft Worth to hear one of my favorite performers, the great Lyle Lovett. I have heard Lyle several times, but this was the first time at the wonderful Bass Concert Hall. It was an amazing show-- two and a half hours of great music, including some great gospel songs like I'll Fly Away and Do Not Pass Me By. If you've never heard him in concert, check him out next summer! But my favorite part of the concert was not the music-- it was the storytelling. Throughout the show Lyle introduced the band members, most of whom he has played with for his 30+ years in music. He remembered where they met, where they first played together, a special piece of music they improvised at a random recording session in Phoenix decades ago. Musically and intellectually, the guy is a genius. He told a couple of very touching stories of important, influential men who had died recently: a musician/mentor and a teacher/principal. The way he spoke about both made a lasting impact on me. He said, "Great teachers aren't remembered for what you learn in their classes; they are remembered for the life lessons they teach you." I am a massive fan of education, and have benefited tremendously from the teachers from whom I have learned over the years. Starting in Bay City and through several universities, I have been challenged and encouraged to grow in my knowledge and understanding. Upon graduating from college I took a job teaching History to eighth graders at a suburb of Houston. It was hard, lonely work. I didn't last in the profession. The demands and pressures we place on our teachers are often overwhelming. Like so many other things, until one experiences something first-hand, it's difficult to understand the stress and the responsibility. I appreciate our teachers very much. At the same time I was struggling with my teaching career, God called me to pursue I different one: as a pastor. Fortunately for me, I had benefited from other teachers. Many Sunday school teachers, family members, and former pastors taught me about faith. Mentor pastors helped me to explore and shape my ministry. In turn, I have had the privilege of mentoring new pastors. Teaching is one of my most important roles as a pastor. This is one of my favorite verses, one that I try to emulate every day: "Remember the faith of your leaders, those who taught you the Word of God; imitate their faith" (Hebrews 13:7). Last Sunday at our church we prayed for and blessed teachers, students, administrators, and staff as they began a new school year. If you have not had the opportunity to bless a teacher yet, I urge you to do so. It can be in a formal way in a large group setting, or informally: a thank you at the carpool line, a small gift at a school open house. With a teacher in mind, try to live out this verse: "Keep doing good works and sharing your resources, for those are the sacrifices that please God" (Hebrews 13:16).